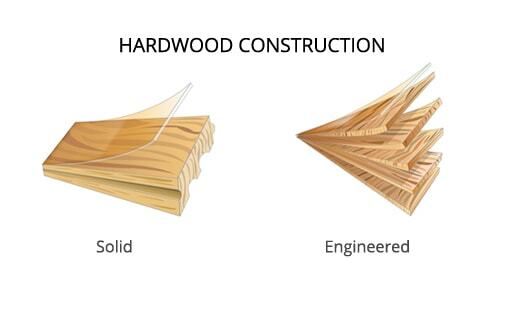 Determining the right hardwood construction for your project is important. Solid Hardwood Flooring refers to wood flooring made from one solid piece of lumber, available in a variety of sizes and species and comes in many finishes that include different gloss levels and surface treatments like hand scraping. Engineered Hardwood Flooring is real wood flooring, but is more stable than solid wood and is less susceptible to shrinking and expanding with changes in temperatures and humidity. The durability of engineered hardwood is increased by constructing the floor through the use of multiple wood layers.